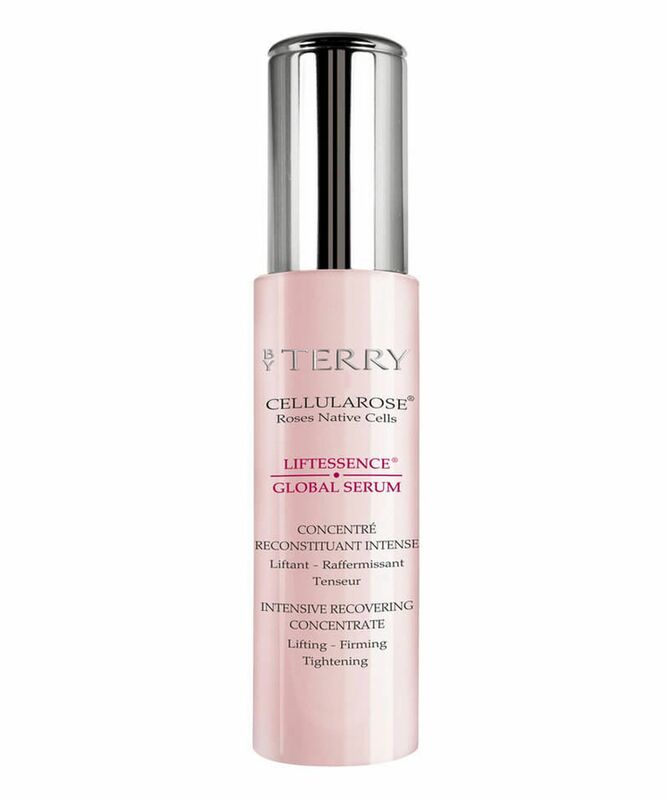 The ultimate foil for all signs of fatigue, By Terry’s Cellularose Liftessence Global Serum feels like silken lingerie for your complexion; luxurious and sensuous, the delicately scented gel is deeply penetrative – rushing to the rescue of dulled, dehydrated skin in need of moisture and a shot of luminosity. With a featherweight, non-greasy formula, By Terry’s Liftessence Global Serum absorbs almost instantly to flood dry skin with precious moisture, while delivering skin-brightening, elasticising actives to skin’s lowest levels. Brimming with natural rose cells and bellis perennis extract to help brighten dark spots, this potent elixir is perfect for those with sun-speckled complexions – rapidly fading existing pigmentation patches – while exfoliating flower acids help to eliminate dulling dead cells and accelerate cellular turnover. Skin is left smooth, plump and ‘lifted’ with a more even and light-reflective texture so it positively glows with youthful vibrancy.